What is Alberta Provincial Nominee Program ? If you have decided to live in Alberta then you have made a wonderful choice. Alberta is one of Canada’s most dynamic provinces noted for its spectacular natural beauty, healthy environment, cultural diversity, lively communities and strong economy. Alberta is a western province of the Canada. It is one of the most populous three prairie provinces of Canada. Alberta is covered by other provinces Saskatchewan to east, British Columbia to the west & Northwest Territories to the north. Alberta is a developed and growing economy of Canada. Through the Alberta Immigrant Nominee Program (AINP) a skilled and experienced aspirant can immigrate to this province under different categories. The eligible candidates may receive a nomination certificate for further immigration process once they meet with the eligibility criteria. To apply for Canada PR for immigration without a job offer, check the various methods offered by IRCC. Are you Looking for Canadian Permanent Residency Visa ? A candidate must have a job offer letter of full-time, permanent from the Alberta employer. Have minimum work experience required by the employer. Must obtain minimum score in language proficiency exam like IELTS or CLB. Should have intention to live and work in Alberta. Have a valid work permit & other documents. Have skills according to the NOC 0, A and B. Provide a legal proof of residence in your country. Have a Labour Market Impact Assessment (LMIA) confirmation letter. Want to migrate to Alberta through Express Entry. Well, Alberta PNP also nominates candidates via Express Entry system. Its major streams How to apply for Alberta Immigrant Nominee Programare aligned with Express Entry. A candidate can apply through Express Entry once received a nomination from Alberta. 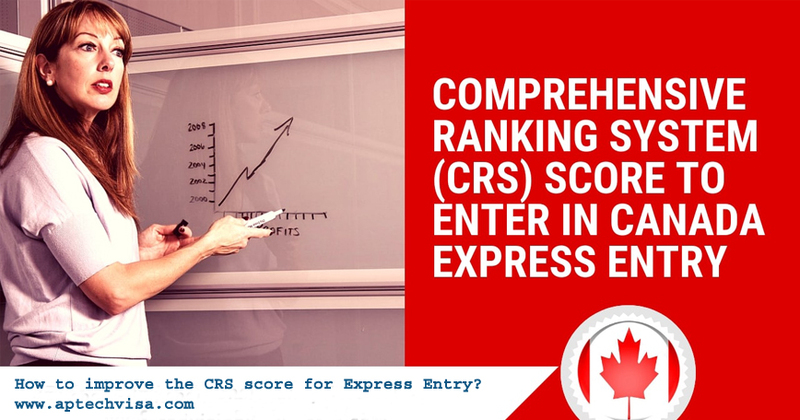 Then a candidate is required to submit his/her profile for Express Entry online by entering provincial credentials. If a candidate receives nomination from Alberta then the candidate will automatically gain 600 points for his/her Express Entry profile, this will increase their chance of getting an Invitation to Apply (ITA) from the province in the upcoming Express Entry draw. Our experienced expert can guide you more on Alberta Express Entry, also they will make the process hassle-free and easy for your. Contact our immigration expert now. After submitting a complete application of Alberta PNP you have to wait for the processing of your profile. The Alberta government will verify your entered credentials as well as your documents. You should be patient on your case to process. Processing time of AINP depends and based on the few factors like labour market information, volume of application received and date of receiving application. Once a candidate becomes eligible and approved by the Alberta authorities, he/she will get a nomination certificate. The whole process may take 7-8 months and may vary profile to profile. Important Note: Rules and regulation of Alberta PNP may change at any time without any prior notice, also Alberta government may ask for any document at any level. So, apply for Alberta PNP through Aptech Global. for easy and faster process. You can calculate your points for free by filling this form. Our team will calculate your points and revert to it within hours. Alberta government requires a number of forms to be submitted. You can apply for AINP program in the eligible stream. But wait, these immigration programs are quite confusing which may lead to the rejection and delay on your profile. Why File Your Application Through Aptech Visa? You can save your time by submitting your application through Aptech Visa Immigration Consultant in Delhi. Here you will get proper and genuine guidance on your visa profile. If there will be any requirements of documents and other information Aptech Visa experts will immediately respond to Alberta government on your behalf. Apply for your Alberta PNP Program through the passionate team of immigration experts, Aptech Visa provides its client best support and assistance to secure their PR Visa. You may take help of the specialists at Aptech Visa on Contact No: 011-47020728, 29, 30, 31, 32/ 7503832132 (Delhi) or mail at: info@aptechvisa.com and you may also fill the ‘free Assessment form’ to get call back from the Aptech Visa’s Immigration Specialists. I applied to the AINP. Can I change my job/switch my employer? What happens with my AINP application ? How Are AINP Applications Assessed ? How Long Will It Take To Obtain a Decision From The AINP ? My AINP application was declined. What can I do next ? I Applied For The AINP. How do I Extend my Work Permit ? Is An Individual Required to Live And Reside Permanently in Alberta Once He or She Immigrates ? Can I Work For Two Employers at The Same Time ? I got to know about Aptech visa through my maternal relative living in Canada as a Permanent Resident. I visited their office and the staff treated me very well. I would like to tell all that what makes me appreciative about them is that they listen to you very patiently before explaining you all the technicality involved in Canada immigration process. I am glad that I took advice from my uncle and came here for my process. Thank you Aptech Group!